Iranian FM Zarif notes serious gaps remain after talks this week, but says agreement may be signed in next round on May 23. Iranian representatives met with world powers for two days of intensive negotiations starting Tuesday in Vienna, to discuss the Islamic regime's nuclear program. Positive results, tempered with doubt, were reported by the involved parties. European Union (EU) Foreign Policy Chief Catherine Ashton and Iranian Foreign Minister Mohammad Javad Zarif held a press conference on Thursday, in which Zarif said the talks dealt with solidifying a general agreement based on the understandings reached in earlier negotiation sessions. Zarif noted that there still are serious gaps between the sides, even as he expressed hopes that in the next round of talks, to be held in Vienna on May 23, a general agreement will be signed. 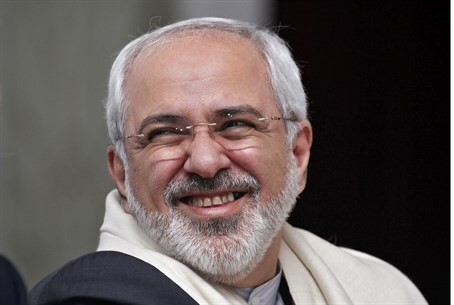 "I can say we agree on 50-60% of issues, but the remainders are important ones and diverse," Zarif said Wednesday, adding "even two percent can torpedo all of it." Last November, an interim agreement was reached between Iran and six world powers. In response to an easing of sanctions, Iran agreed to limit its uranium enrichment to 20% as well as freeze construction on its Arak nuclear reactor. However, Iran was allowed to keep its centrifuges through the deal, and continue enriching at levels under 20%. US Secretary of State John Kerry, while blaming Israel for peace talk failures before the Senate on Tuesday, said Iran will be able to develop a nuclear weapon within two months. Kerry added that he was "agnostic" regarding the outcome of the Vienna talks, and that the US is ready to level sanctions against Iran, not only over its nuclear program, but also for its support of terror and abysmal human rights record. Iran's Supreme Leader Ayatollah Ali Khamenei declared on Wednesday "these talks need to continue but all must know that despite continuation of the talks, activities of the Islamic Republic of Iran in the field of nuclear research and development won't be halted at all."